When the ink level for an ink cartridge is low, a message appears on the display. 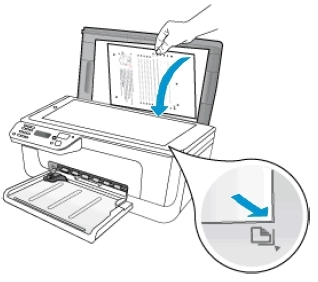 You can also check the ink levels by using the printer Toolbox (Windows) or the HP Utility (Mac OS X). Click the Estimated Ink Levels tab to view the inklevel information, and then scroll to display the Cartridge Details button. 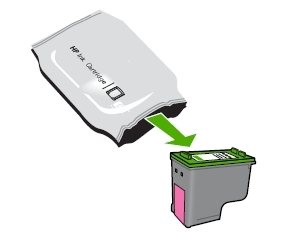 Click the Cartridge Details button to view information about replacement ink cartridges. 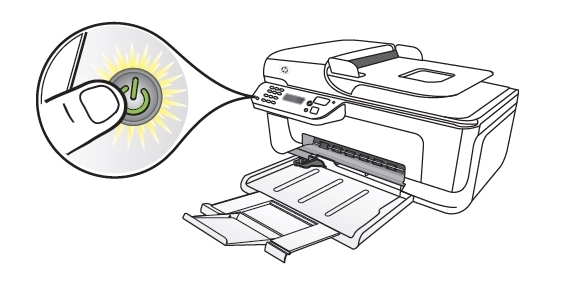 Which ink cartridges do I need for my HP Officejet j4550 All-in-One series Printer? 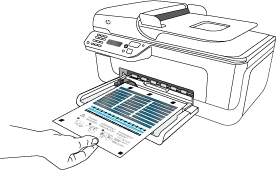 For your US, European and UK HP Officejet j4550 All-in-One series Printer you need a HP 901 Black Original Ink Cartridge (CC653AN) and a HP 901 Tri-color Original Ink Cartridge or a HP 901XL CC654 Black High Yield Ink Cartridge. There are also Combo Packs (2 cartridges in one pack) available, like the HP 901XL Black and 901 Color Inkjet Cartridges. 1. 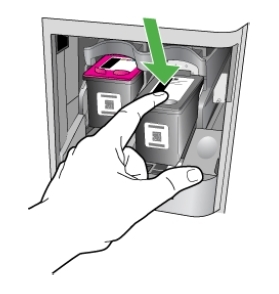 Before you replace the cartridges load plain white Letter or A4-sized paper in the input tray. 12. 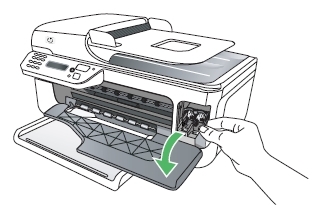 Close the scanner lid and then press OK.